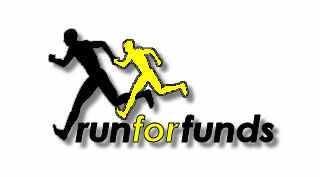 Again, my thanks to everyone who has helped out with the RunForFunds Project both financially and otherwise. Come next Saturday (16 Sep 2006), we will get to see our funds being put to work. For those who are new to this project, I strongly encourage you to attend this event and see everything first hand. There is only so much, a website, an email or a word of mouth can do. The best way to showcase something is perhaps to allow the person to see the actual project in person. For those who are reading about this project for the first time. Click Here to goto RunForFunds webpage and/or chase my archives pertaining to the project . Hopefully our words would be able to inspire you to be part of the project with us. My personal philosophy for this project is this: If we raise $1, then $1 shall reach the hands of the person that needs it. Not $0.95. Not $0.75. But the FULL $1.00 as best as we can. To my friends and fellow bloggers who have been or would like to support this project, I ask if you are able to help out by plugging and/or mirroring this on your respective blogs. My thanks in advance. Anyway, without further ado, please read on. Thank you. The Maximize Your Potential Award Ceremony will be held at Geylang Methodist Primary School on 16th September (Saturday), 10 am @ 3rd floor conference room. It'd be great if you could turn up to support the event and meet the kids you're sponsoring. Find out first hand about the progress they've made in the past year, their aspirations and meet their families too. As we're catering some light refreshments, it'd be greatly appreciated if you could confirm your attendance by 11th September (Monday). Come, inspire them to greater heights !! An additional note from Adrian in the Comments Section that I am pushing it up to the front here. Jay, thanks for plugging the Run For Funds movement. As this is not a public charity, my Superfriends and I (folks who run to raise funds to RFF) do not accept $$ from people we don't know. However, I encourage those who are curious what RFF is all about to attend the MYP award ceremony. Just drop your confirmation attendance to me @ adrianL888@gmail.com. I hope this movement can inspire you all to start something own your own to help those in need. The smallest action is better than the best intention. 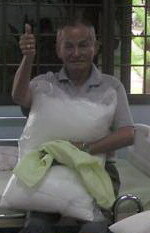 Thanks Jay for your unwavering support of this movement where $1 collected, $1 goes to the person in need. No golden taps, no peanuts. Adrian: You are most welcome. Happy to do it. We may be a small, tiny, minuscule project that may never see the light of day. But heck, we'll make it a damn good one anyway. Moving your comments up to the Front-Of-Page. Akk: You're welcome. Spread the word, please. Hope to have you there at the event. Personally, I think it is particularly important for you to be there to see your contributions being put to work right before your very eyes.